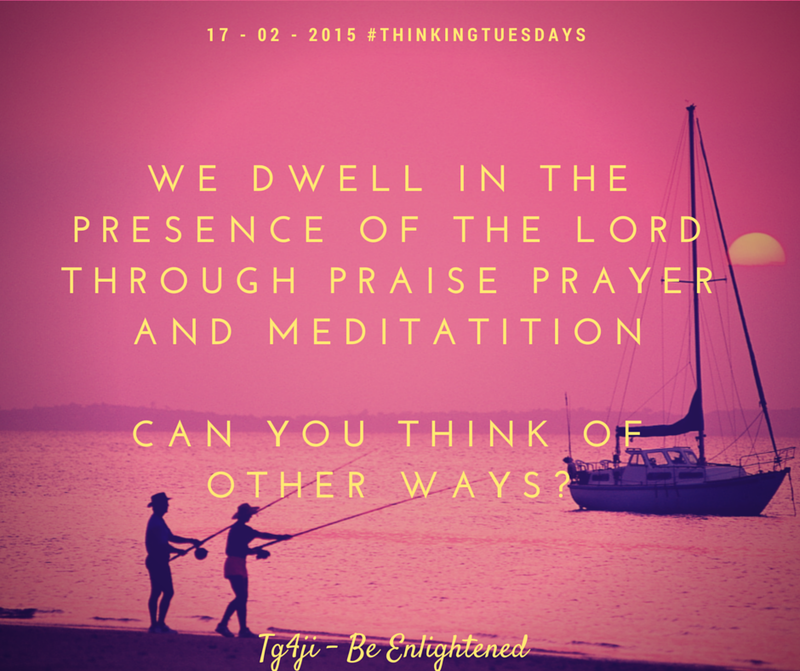 How Can You Dwell in The Presence of the Lord? Flashback to the message from Monday on Dwelling in his presence We noted that it was important to constantly develop our relationship with God rather than living on the faith of others. Today, we encourage you to think of the many ways you can dwell in the presence of the Lord. One easy way which works best for many people is through praising and worshiping him throughout the day. Another is by meditating and praying over scripture! ← Are you a “Visitor” or a “Dweller”?